Are you bore with your party wear? Need a new party wear for winter? 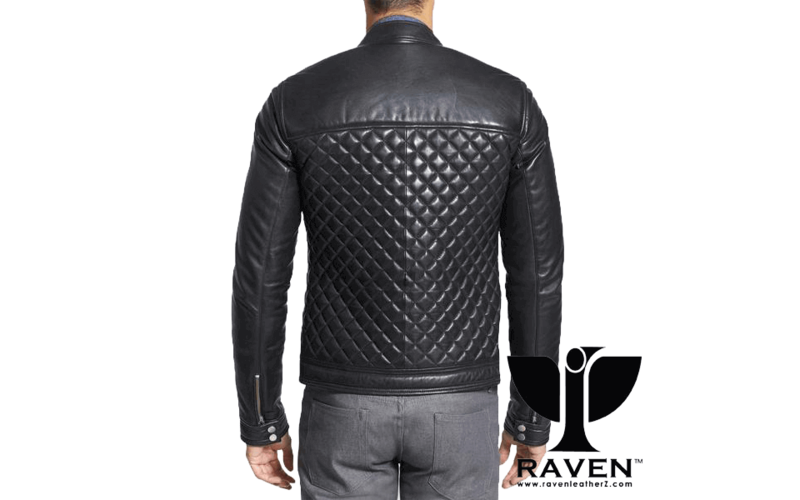 If so then you can see our new RR-04 Quilted Diamond Party Jacket with a twist. 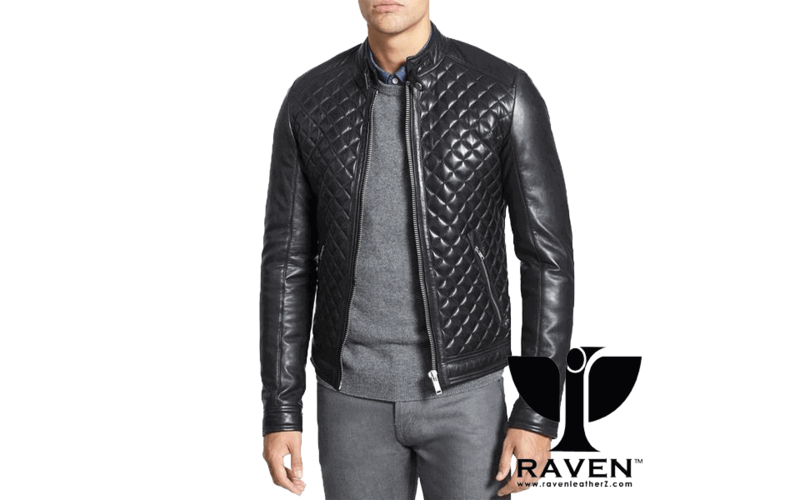 It is a new jacket of RAVEN’s winter collection 2018-2019. Plain shoulder and Sleeves, Diamond Shape Quilting on the front part and the back part will give you the feeling of a perfect partywear. If you trail this party jacket then you can only feel the twist of feeling two different personalities like party freak and party icon at the same time. Do you love Cropped and Quilted jacket? And looking for a new jacket for this winter. Then you can see our new Black Cropped Quilted Jacket. 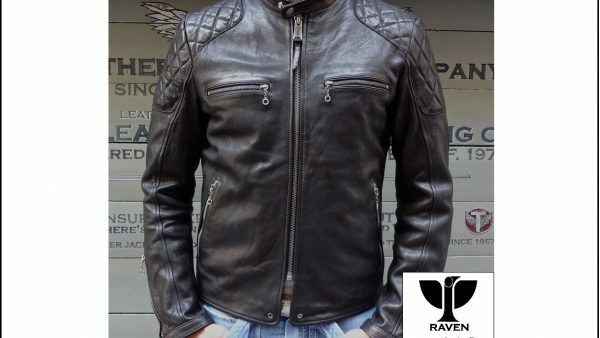 It is a new jacket of RAVEN’s winter collection 2018-2019. Quilting shoulder and elbow, Only two cross pocket in the front, and a unique cuff style will be pleasing your eyes for sure. If you trail this party jacket then you can only feel the good vibes from it. 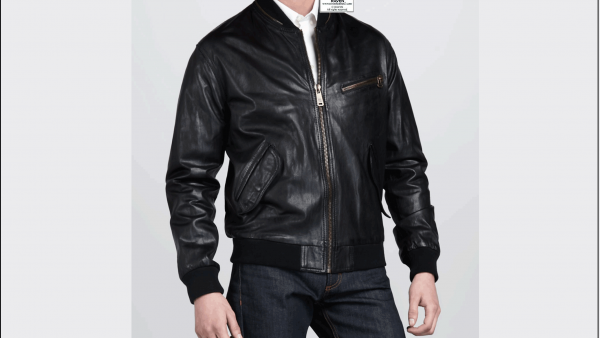 One of the main concern, when we buy a leather jacket, is the type. The leather used in this Party Jacket is chrome tanned semi-aniline finished. And this type of leather is usually very soft and very comfortable to wear it. Jacket length has two types. And they are regular and cropped. Basically, a cropped jacket means the length will end exactly at your waist. It is also known as short length jacket. And the second one is a regular length which ends at your hips. If you’re buying a leather jacket to work with dresses then a cropped jacket is really flattering, but if you want to wear them with jeans then the longer length works best. Make sure to check the color of the leather/hardware. A simple mistake here could cause a perfect leather jacket to be left sitting in the wardrobe because it doesn’t work with the rest of your accessories. But this jacket is available in Black, Brown, and Chocolate color. Choose your suitable color wisely as per your comfort. Another concern is the shoulders alignment. But our jacket’s shoulder alignment is perfectly aligned by sizes. So, you have four basic sizes for this one like S, M, L, XL. 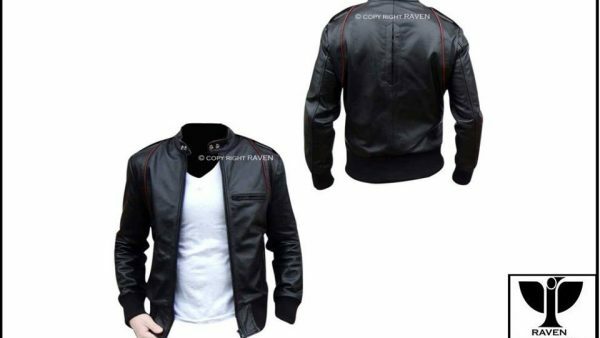 If they are not fit you we have custom made leather jacket facility. Where we will make a jacket as per your body measurements. And the shoulder has quilting work on both shoulders as well. Basically, this design has a zip closer with a throat tab button to close the collar. Are you thinking about the zipper uses in this jackets? Don’t worry at all Cause they are from well-reputed zipper supplier company YKK. No Chest Pocket. Only there are two vertical side pockets are available at the waist section. And in the last, an inside pocket is also available in this jacket. The cuff style of this jacket is very unique and stylish. Cause it has zip closer and button both to close the cuff. All you need to do is open and close the zip and the buttons to adjust wrist fitting properly. The back has a very unique and eye catchy design. Mostly the design looks like a small diamond. And this diamond shape quilting work makes the jacket more attractive and wearable.